Lord Ivar Mountbatten, Queen Elizabeth cousin, has opened up for the first time about being gay and finding love. He also said that it wasn’t about the fact that he is from a royal family, but about the times. 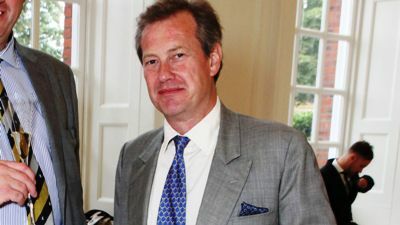 Lord Ivar, a descendant of Catherine the Great and the great-great grandson of Queen Victoria, married Penelope Thompson in 1994. The couple had three daughters—Ella, Alexandra, and Louise—before divorcing in 2011. Ivar met boyfriend, airline cabin services director James Coyle, last March while on vacation in Switzerland. Coyle has met members of the royal family and socializes with Lord Ivar’s ex-wife and children. While he’s still “not 100% comfortable with being gay,” Lord Ivar says he is happier now than he’s ever been. Currently, Lord Ivar is the first openly gay member of the British royal family.